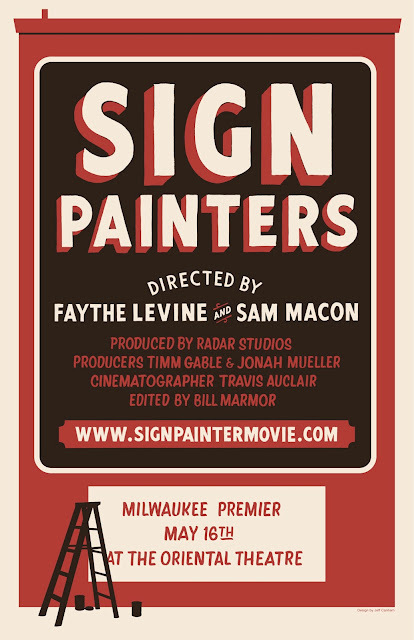 It's been almost 4 years in the works and my new film Sign Painters is finally coming to the public. This week is the kick-off to movie programing around the world in theaters, museums, schools and alternative venues. For a list of screenings + programing visit the website. If you're in the Milwaukee (May 16) + Chicago (May 17) area we hope to see you this week!